Not too long ago I was fortunate enough to attend a presentation at Pixar Animation Studios for the Producers Guild of America where the topic was BD Live – the interactive network features for Blu-ray Disc. To be honest, just the chance to get inside the Pixar gates was enough of an incentive for me to head up to Emeryville for the event. Pixar is certainly a special place, with many themed posters in the main lobby as well as life size characters from Monster’s Inc. and Cars. All around are Pixar themes – right down to the ‘Stranger from the Outside’ on the visitor name tags. After enjoying some finger food, we were ushered into the Pixar Theater for the presentation. After introductions, representatives from several Blu-ray related companies gave presentations on BD Live and what it offers to the content producers. Sven Davison, VP of product development and production at Fox was the first presenter. On the big screen we saw the menu from the Fox UK release of the Rolling Stones concert film Shine a Light, which is due for release on November 3rd (this was a Paramount release in the USA). Sven went on to demonstrate that with the BD Live feature activated, it was possible to tag songs you liked while you watched the film. Once you were done with the film, it was possible to review the playlist consisting of the tagged songs. At this time it was possible to edit the list if desired. The network aspect of the application was invoked with an interaction with iTunes, where the playlist was automatically sent and available for download, based on the user’s email address. The next presenter was Ole Lutjens, the creative director at MX Entertainment, who presented material from the upcoming release of the Neil Young Archives. His presentation was fascinating, and showed a very different side of Blu-ray from what we are typically used to seeing. Apparently Neil Young was sold on Blu-ray when he heard it was capable of 24 bit 192 kHz audio, as well as the interactive possibilities. Since the archives project revolves primarily around the music, the disc allows you to either watch the related video sequence or look into the archives for materials associated with the song or album. The video track was pretty amusing – most often it appeared to be a clip of the music being played on a record or 8 track from the original album release time period. Once you are bored with that you can search the archives while the music continues to play. The archives mostly consist of still images relating to the recording and time period. These images includehand written lyric sheets, newspaper clippings, magazine articles, record covers and photographs. The disc allows you to look on the timeline for the archive set and see what is available to look at, including new material that has been added after the fact on the BD Live network. If a new poster or ticket stub image is available, you will see it listed as available and can download it to view and store in the persistant storage in the Blu-ray player for later if desired. Stored files can be viewed when the Blu-ray Disc is in the player. While most of the content was still images, there will also be video clips in the project. All in all this was a great example of how the Blu-ray Disc could be used as more than simply a linear passage of video and audio, and can include online content to continuously add media to the project even after the discs are pressed and released. The next presentation didn’t so much go into the capabilities of BD Live as much as it demonstrated the history and portability of the Java applications on Blu-ray Disc. Bill Sheppard, chief digital media officer for Sun Microsystems Java Software Group gave us a quick history of the evolution of BD-J and showed the similarities to cable’s tru2way and the interactivity layers in other media. All of these interfaces derived originally from the same Globally Executable Multimedia Home Platform (or GEM for hort) and so applications created for Blu-ray Disc in BD-J can be ported to run on cable or internet delivery systems, allowing content producers to leverage the assets created for Blu-ray Disc with minimal effort. Bill also noted the possibility of tie ins with other internet related memberships for merchandising and promotional cross overs, like Safeway Rewards or Costco Membership. While this may not be all that interesting to us as an end user, it is something to consider for the content producers in order to recoup development costs. When it came to Disney’s turn to present, I almost felt sure it would be the new Wall-E disc, especially given the venue. 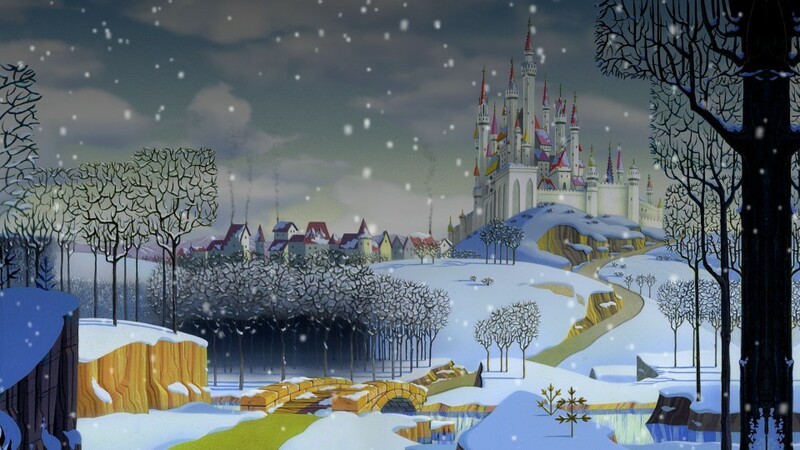 Sadly though for me at least, David Jessen, VP of Blu-ray and DVD creative production for Walt Disney Studios Home Entertainment instead brought up the Sleeping Beauty release, which was fresh out at the time. 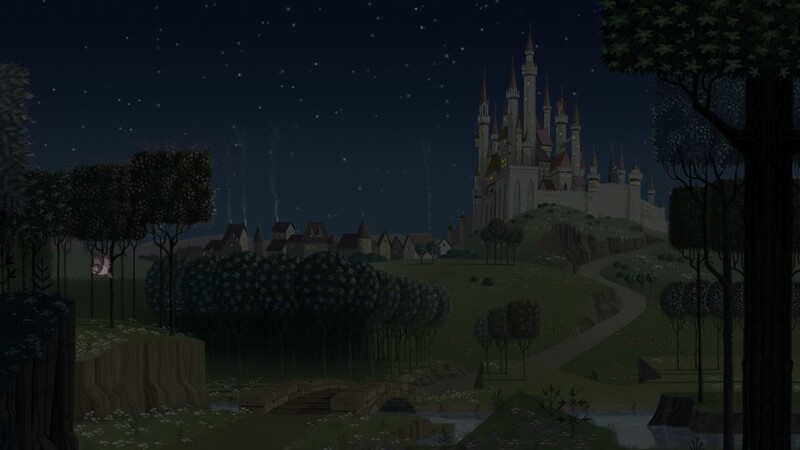 The first aspect of Sleeping Beauty that he demonstrated was the living menu, where the menu background reflected both the time of day and the weather of the user’s location. So if it is sunny daytime in your location, the menu shows ‘your kingdom’, during a sunny day. If it is a rainy night, you will see a rainy night. There was also a display of the temperature at your location, in the upper left corner (which can be removed if you prefer). The main BD Live features on the disc fall into the four categories that Disney has decided on for all of their BD Live releases. The categories are Disney Challenge, Disney Chat, Movie Mail and Disney Rewards. The Challenge section is for games – in this case a trivia game that can be played while watching the film. The games are always running and you can join in a public game or schedule a private game. The Chat section allows users to watch the film simultaneously and chat on screen during the film. It is also possible for Disney to schedule a chat session with film makers and talent. You can use a networked PC or iPhone for the Chat function. While there was no time to demonstrate the other two categories, Movie Mail allows BD Live users to send each other emails and the Rewards category allows you to ‘spend’ credits earned in the Challenge category on items at the Rewards store. The last presenter was Zane Vella, CEO of the Related Content Database. Zane’s company specializes in providing content providers with the framework needed to create BD Live features. Since many of the functions of BD Live are similar, while the media differs, the building stones for the applications can be pre-built and provided as a package. Zane went on demonstrate the ‘magic disc’ that has been created over time which tests all the aspects of BD Live that have been conceived so far. It was interesting to note that the title was based around X-men 2 – a title which has not yet seen release on Blu-ray Disc. Zane went on to demonstrate some of the functions that the disc enabled, focusing on an application that searched and downloaded images from Flickr. It was clear that a BD Live enabled Blu-ray player is essentially as open ended as any internet connected appliance. Such a player effectively marries the World Wide Web with the Home Theater, with the RCDb company enabling the connections. During the question and answer session, a number of interesting aspects of BD Live came to light. While the BD Live players are required to have 1GB of persistent storage, many are opting for removable storage in the form of a USB thumb drive or Secure Digital card, allowing for the end user to swap in and out different devices, and never running out of memory capacity. Some of the interactivity was discussed, including input devices – while perhaps players like the PS3 can have attached keyboards and other input devices, for the most part, PCs or iPhones that are married to the BD Live account are used for input devices. The example of Mamma Mia was offered, where users will be able to submit webcam reviews, though obviously few to none of the BD players are capable of taking input from a web cam. When asked about the killer application, the responses ranged from the ‘social viewing’ feature, with chatting enabled during simultaneous remote viewing of a title, to user generated content. Sven from Fox said ‘put yourself in the picture’, which was one of the features that Fox showed off this year at CES where the user could put their avatar up for the BD Live game on Alien vs Predator. Ole agreed that the user generated content, as well as the possibility to share media without PCs are key applications. I asked about the lifetime of the applications and how the investment in of money and time for development of these titles can be rationalized as the users’ time gets spread more and more thinly over the titles in the collections. The response was that the network side is not expensive to run on a per title basis, especially as the number of titles grow. On the development side, while early titles require a lot of time, features for additional titles don’t cost so much to develop once the framework is in place. It was also noted that with this new technology, there needs to be investment up front to generate the interest, so the first few titles will be expensive, but will help to lay the framework for the future. Two things were clear from the presentations and comments at the end. The future for BD Live is wide open and nobody is really sure where it will all lead, though they are keen to walk the path to see. The second is that the studios see BD Live as the true differentiator between Blu-ray and DVD – while the higher quality picture and sound is compelling, they feel that it will be features like BD Live that will be the motivation for many to upgrade to Blu-ray Disc. Regardless, it was a great evening and thanks to the PGA and Pixar Animation Studios for arranging it. BD Live is certainly something worth keeping an eye on.